Holi (also called Holaka or Phagwa) is an annual festival celebrated on the day after the full moon in the Hindu month of Phalguna (early March). Why is the Holi Festival Celebrated ? Every spring, Hindus around the world celebrate the festival of Holi to commemorate the miraculous escape of young Prahlad – a devotee of Vishnu – despite being carried into the fire by the demoness Holika. Its also called the The Festival of Colors because the central tradition of Holi is to throw colored powder at one another. The powder colors, also known as gulal, are smeared on other's faces and clothing. The festival has many characteristics of a saturnalia, as does carnival in certain Christian countries. Holi is probably the least religious of Hindu holidays. During Holi, Hindus attend a public bonfire, spray friends and family with colored powders and water, and generally go a bit wild in the streets. it provides a temporary opportunity for Hindus to disregard social norms, indulge in merrymaking and generally "let loose." Public bonfires are lit which signify the destruction of evil and, metaphorically, the burning of the Hindu demoness "Holika". The heat from the fires also serve as reminders that winter is behind and that hot summer days are ahead. Traditionally, mothers used to make new clothes for their married daughters on the occassion of Holi, while mother-in-law gave travel money to their daughter-in-law. Sons-in-laws are invited by the bride’s family for a luxurious meal, after which it is customary to gift them crisp notes of any denomination. Gujjia, papri and kanji vade are special food items that are exclusively made for this festival. Bhang lassi is synonymous with any celebration related to Holi. Bhang lassi is a drink enjoyed by people all over India on occasion of Holi. Bhang lassi combines the intoxicating effect of bhang or Cannabis with lassi or sweetened thick yogurt. Mixing bhang with lassi makes a refreshing drink that not only cools the body but also the mind. 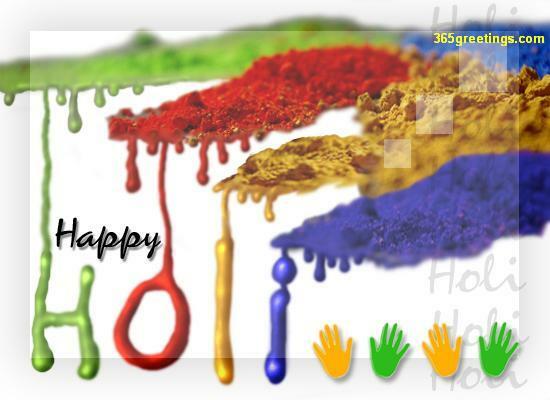 Holi is celebrated in spring in the month of March or April and incidentally Cannabis is harvested at the same time. This might be the reason why bhang became an integral part of Holi celebrations in India. Easy Tips For Preparing Bhang Lassi At Home: Preparing bhang lassi for Holi involves three distinct step – getting the bhang extract ready, preparing the lassi, and then mixing the 2 delicacies to make the intoxicating divine beverage. Fresh leaves of Cannabis is ground and bhang extracted by boiling them in sugar and clarified butter. The extracted bhang is mixed with khus syrup that gives it the characteristic green color. Pistachio and almond paste is added to bhang, making it a tasty and refreshing drink. Bhang lassi can be made by mixing bhang with yogurt or lassi. Bhang lassi has additional ingredients like ginger, sugar and garam masala. Bhang lassi also follows similar steps of extraction of bhang. The bhang is then blended with chilled yogurt to make bhang lassi. During the Holi festival people typically hug and wish each other "Happy Holi"
Originally, Holi was an agricultural festival celebrating the arrival of spring. The legend commemorated by the festival of Holi involves an evil king named Hiranyakashipu. He forbade his son Prahlad from worshipping Vishnu, but Radhu continued to do offer prayers to the god. Getting angry with his son, Hiranyakashipu challenged Prahlad to sit on a pyre with his wicked aunt Holika who was believed to be immune to fire. (In an alternate version, Holika put herself and Prahlad on the fire on orders from her brother.) Prahlad accepted the challenge and prayed to Vishnu to keep him safe. When the fire started, everyone watched in amazement as Holika was burnt to death, while Prahlad survived without a scar to show for it. The burning of Holika is celebrated as Holi. According to some accounts, Holika begged Prahlad for forgiveness before her demise, and he decreed that she would be remembered every year at Holi. An alternative account of the basis of the holiday is associated with a legend involving Lord Shiva, one of the major Hindu gods. Shiva is known for his meditative nature and his many hours spent in solitude and deep meditation. Madana, the God of love, decided to test his resolve and appeared to Shiva in the form of a beautiful nymph. But Shiva recognized Madana and became very angry. In a fit of rage he shot fire out of his third eye and reduced her to ashes. This is sometimes given as the basis of Holi's bonfire. The festival of Holi is also associated with the enduring love between Lord Krishna (an incarnation of Vishnu) and Radha, and Krishna in general. According to legend, the young Krishna complained to his mother Yashoda about why Radha was so fair and he so dark. Yashoda advised him to apply colour on Radha's face and see how her complexion would change. Because of this associated with Krishna, Holi is extended over a longer period in Vrindavan and Mathura, two cities with which Krishna is closely affiliated. Krishna's followers everywhere find special meaning in the joyous festival, as general frivolity is considered to be in imitation of Krishna's play with the gopis (wives and daughters of cowherds).